Its the time of year where plans are made or invites are received for forthcoming events and occasions. My mum is celebrating her 75th birthday this year so we have decided to mark the event by doing something we've not done before and have always wanted to do. 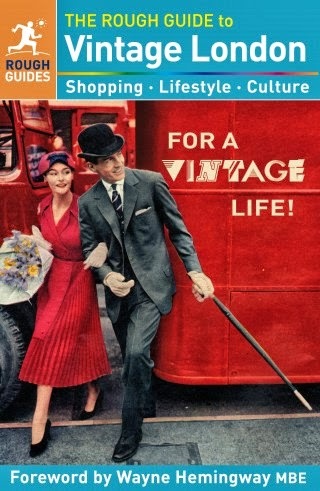 So I'm booking up a day trip on the British Pullman Orient Express for us. I'm really excited as it should be a really unique and special day out! Topshop ivory tuxedo jacket, thrifted last year for just £3 in Clacton on Sea. 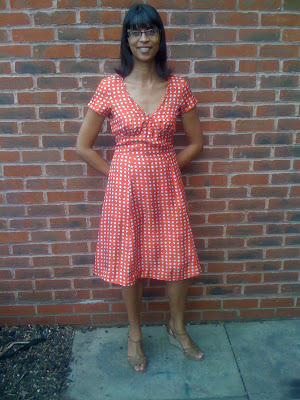 Marc Jacobs silk tea dress, not worn for ages and thrifted about 3 years ago at Help the Aged charity shop for £5. I'm not going to make a point of shopping for an outfit as for a change I'm looking forward to wearing these pieces. Have you any special events this year which you will shop your wardrobe for? Sharon, first of all Feliz Cumpleanos a tu mama (Happy Birthday to your Mom)!!!! Second a trip on the British Pullman Orient Express is an fantastic idea!! Third the Topshop ivory tuxedo jacket and the Marc Jacobs silk tea dress are just beyond perfect for the trip! Fourth, I love your hair down!!! Oh, you're going to have such a fun time! Jealous! I love the tuxedo jacket - £3 wow! Beautiful dress, no need to buy a new one. 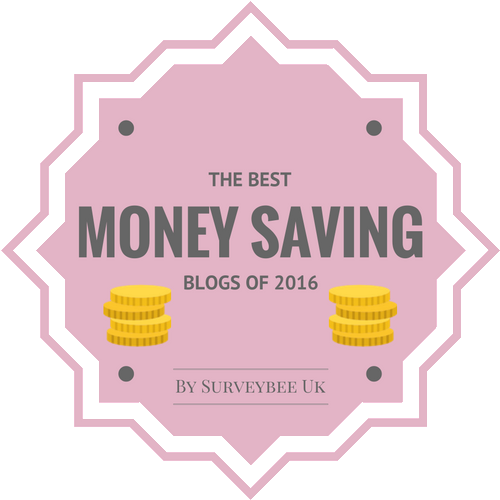 Spend the cash on some bubbly, why not? this dress really is made for you! the colours are so great for you! Love the tux, too, a stunning outfit for your trip! having to think about what to wear for upcoming press days as its so warm, but still want to be comfortable. This year is our 25th wedding anniversary.... don't know what we're doing about that though.... Oh dear, now you know I'm not a teenager! Ahhhhhhhhhhhhhhh I love, love, love your Marc jacobs tea dress. 5 pounds????ahhhhhhhhhhhhhh. I adore the way yo wear your hair in that photo. It does suit you a lot. I am glad that you are celebrating life with your mother. Much love my dear friend. How exciting. I love the outfit. Sounds like fun you're gonna look gorgeous & I'm sure you'll have a fantastic time. 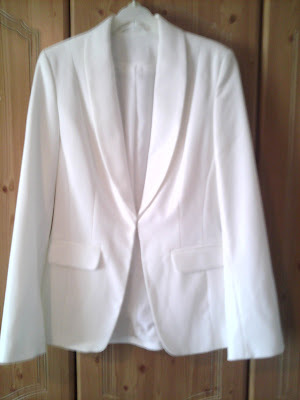 And that White blazer is divine, I really need to keep my eyes peeled for one for spring! I don't have anything coming up thank god! Love the dress and jacket! How stunning will u look. What a lovely jacket and dress. That will be a day to remember. I do like your Marc dress, I haven't any events planned yet... there's still time tho! Dear Sharon, that dress is absolutely stunning on you. I love it. Great tux too. The Orient Express will be fabulous. I was taken with work and loved it. I looked into taking The Actor for a surprise but elbowed it when I saw the prices! We're off to an actor friend's wedding in the summer -an English wedding on the Friday then an Indian wedding on the Saturday. I think I have to wear a sari which should be fun. That dress looks great on you! Almost if it was made for you! Hi there and thanks for visiting. You got a Marc Jacobs tea dress for 3 pounds? Thats'amazing. love the red dresss.its soo prada!! The Marc Jacobs is beautiful, cannot believe you bought it for £5! It really suits you! That dress is perfection. That was a serious score! You look great! Blog Loving-Worldwide and on my doorstep!! Faux Fur, Teddy Bear Style!! Vintage Faux Fur-My Teddy Bear Coat! !